Mr. Bono has over 5 years of professional experience in environmental consulting. He has been involved in subsurface investigations and remediation activities at facilities and properties impacted with chlorinated solvents, petroleum products, and other hydrocarbons throughout the state of Indiana. 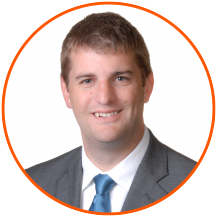 Matt has assisted with data evaluation and reporting on all phases of projects from investigations through closure and has provided project management services including work scope development, budget management, and personnel management. He has provided oversight during remedial plan implementation, incorporating multiple technological approaches including pump and treat systems, soil vapor extraction (SVE), enhanced anaerobic bioremediation, thermal desorption, and soil excavation. Matt also has experience in contaminant transport and groundwater flow modeling. He has worked closely with clients and subcontractors, as well as state and federal regulators.